The internet can seem like a humongous universe where one realizes that their success banks on ensuring through presence online on interactive social media platforms. Such a place can freak out internet marketers rather easily as they begin to feel like a speck in such a huge landscape. If you are getting goose bumps at the thought of having to expand your outreach on the World Wide Web, then refrain from considering yourself a dwarf right now. There are tons of tools available out there that can assist you promote yourself on the internet. We are going to round up the top 10 tools to enhance your followers on Instagram, promote your business, personal brand or simply your own personal accounts. No, I am not kidding because the platform that was once considered a heaven for getting access to viral images and teenage girls letting the world take a sneak peek into their daily lives has now transformed into a handy tool for networking, marketing and promoting and selling merchandise. When looking to get connected with appropriate audience, it is essential that you know exactly the kind of content you should be posting, the kind of people you ought to be following, the right hashtags to use and even the exact time when you should be uploading your content. It is virtually irrational to keep on browsing Instagram day in and day out for trends and following people hoping against hope that they will follow you some day. So, let’s take a look at some of the tools that can do the tedious tasks for you in a matter of a few seconds. Sendible is a popular social media management tool that has threatened the long established dominance of Hootsuite. It lets you run your accounts on multiple social media platforms from a single dashboard. It enables its users to schedule posts, conveniently manage and monitor collaborative endeavors among your employees and simplify the way feedback is retrieved from posts. The most unique aspect about Sendible is its ability to let you connect with multiple social media platforms simultaneously. In addition to Instagram, you can manage Twitter, Facebook, LinkedIn, Tumblr, WordPress and several others from the same dashboard. Another great feature about Sendible is its seamless integration with other tools one of which is Canva which lets you design and post unique content in an impeccable manner. It is a piece of cake to get your social media accounts connected to this online tool. You simply has to enter the requisite information and then the race begins! Once you have all your social media accounts connected to Sendible, it will let you access detailed analytical reports in a surprisingly short amount of time while other applications take several hours to do so. Sendible provides information about the number of people that are being reached, the posts that are gaining popularity, the rate of growth of audience and the best time to post content during the day. You can compile comprehensive reports for your clients based upon this in-depth data or even archive it for your ready reference. The data can be accessed for individual accounts as well as for the whole bunch of social media platforms that you are using. Check out the best Instagram scheduler by Sendible here. On the whole, Sendible seems like a wonderful alternative if you are looking out for a one-stop portal for handling your online profiles instead of an Instagram scheduler. Instagram has been quite strict when it comes to employing third party tools to schedule posts but Sendible simplifies a lot of stuff. In the early half of 2018, Instagram initiated a new feature that allows Facebook Marketing partners and Instagram Partners such as Sendible to publish their images directly. Presently, you can only schedule one image at a time to the Instagram Business Profile but it can make a lot of things uncomplicated and give you ample time to expand your outreach. Having said that, if you are not looking to switch to Business profile on Instagram or intend to send more than one image or video clip, then keep on reading. You will have to log into Sendible dashboard and schedule your post. You can also write the copy, add hashtags and choose the image or clip that you want to accompany. Sendible’s iOS or Android powered smartphone app will show you a push notification once it is the time for your post to be published. This may seem a bit of a hassle at first but there is a positive aspect about being able to publish your Instagram posts manually. Firstly, it lets you bring about any last minute modifications and use Instagram’s photo editing suite with the text and hashtags automatically copied to the clipboard. Secondly, the iOS users also get the option to choose whether they want the new post to appear in their feed or in their Instagram stories. Finally, you can also add tags and location to your post. So, this social media management tool has everything for you whether you are looking to exercise more control and publish your posts manually on Instagram or schedule posts directly to your Business Profile. Sendible also provides valuable information about top posts on Instagram, rate of growth of followers and the ideal time to post. You can also manage your feed, read and respond to comments and track specific hashtags. It is quite convenient to add one’s social media accounts to this smart tool. Once you get your Instagram connected to this tool, it sends you notifications about the followers you have gained as well as lost. If you have followed a certain Instagram but he or she has failed to reciprocate your gesture, the tool will ensure that you unsubscribe from them automatically. These features let you contacts stay organized and relevant all the time. Crowdfire also tends to suggest hashtags to attract more followers to your account and even assist you to track the competitors to let you stay ahead of the pack. Despite the fact that tools such as Sendible have taken over from Hootsuite in the recent days as the leading social media management tools, there is no denying that Hootsuite still stands there as a solid option with its three monthly plans, Professional, Team and Enterprise. You can monitor your competitors from the tool’s intuitive dashboard and gain insight by tracking their posting tactics and existing hashtags. 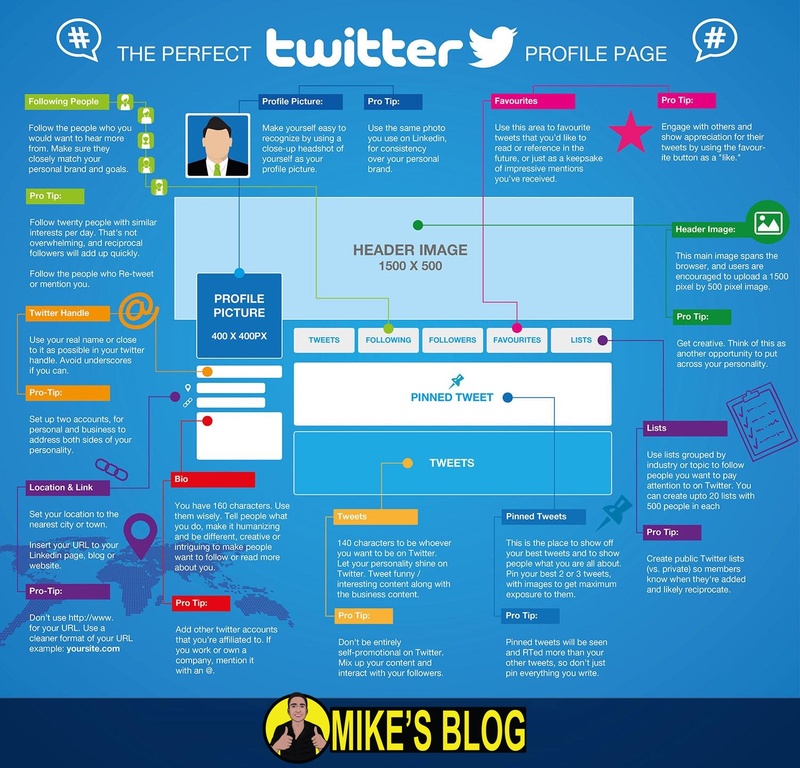 You can integrate those approaches in your posting style to attract more followers. Hootsuite also analyzes the strengths and weakness of your profiles, lets you respond to your customer comments across various social media platforms and schedule posts. It is important to note here that while you can schedule Instagram posts but you will have to authorize their publication manually as per Instagram’s terms of service. This is simplified by Hootsuite’s push notifications if you have Instagram on your handheld mobile device. Hootsuite also lets you monitor customer’s feedback about your brand so that you can chop and change your strategies in line with what is in demand. The Visual Marketing Index is a great way to gauge your performance on Instagram. The analytics tool generates a score between 0 and 10 based on six different metrics derived from Instagram employing a regression based model. So, its report identifies the exact areas where your brand is lagging behind or prospering in contrast to your competitors. Engagement rate, hashtag power and content are some of the areas that are focused by Visual Marketing Index while compiling its reports. The reports are simple and provide in-depth analysis about your account’s performance. For instance, let’s talk about hashtag power which is defined by Visual Marketing Index as the extent to which a brand’s hashtag is used and the impact it has on the wider audience on Instagram. These statistics will allow you fine tune your promotion tactics and push your hashtags to attain their optimum potential. This version of Visual Marketing Index is completely free. You simply have to provide information about your brand and you will get your free report within 24 hours. 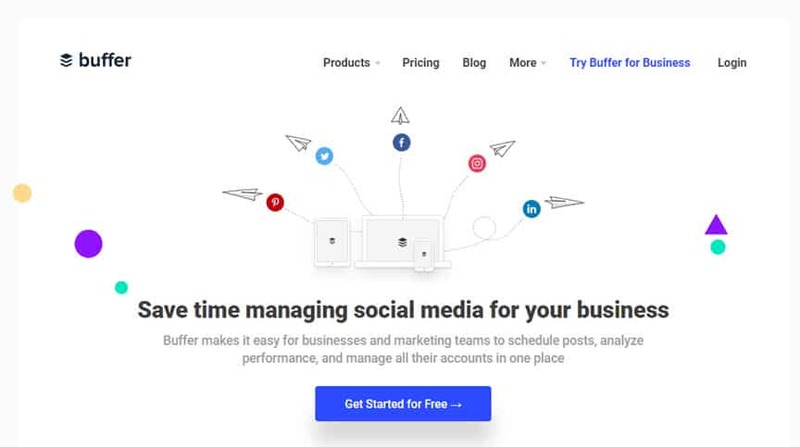 Allowing you to use all of your social media accounts from the same dashboard, Buffer comes with a freemium option, as well as several subscription plans. It lets you schedule your Instagram posts, which can then be authorized through a push notification. It also furnishes statistics on your accounts’ growth, and lets you conveniently view the engagement patterns of your target audience. Posting reminders can go a long way in ensuring a consistent online presence on Instagram and collaborating with other users. However, at present there is no option to interact with followers directly from the dashboard. Tagboard provides you access to appropriate content on Instagram and relevant and popular postings both on your handheld mobile device as well as desktop computer. It also lets you block sites and people that you are not interested in so that you do not end up getting to view their content. You can also find out the hashtags relevant to your content by running a search based on popularity. You can also repost and share the favorite content of your followers, allow multiple personnel to access your account and receive an automatic notification if you have been featured on a social media platform. Its extensions are compatible with Google Chrome, Hootsuite and Eventbrite. It is an intuitive tool that makes life on social media a piece of cake. You need to make a one-time purchase when it comes to add on features such as polls and analysis on ROI. This new social media management tool comes with a simple design that lets you schedule posts, monitor hashtags or keywords, and recycle your most popular content in a seamless manner. It incorporates a basic analytic section to monitor how one’s social media pages are performing, but more in-depth reports require payment. A unified inbox is another feature reserved for their second-tier and up plans that lets you respond to messages without jumping from one account to another. This flexible tool is available in more than 30 languages and comes with a massive Instagram search engine. It allows you to respond to your audience’s comments directly from its dashboard. This impeccable manner of getting to connect with your followers on Instagram can go a long way in enhancing your outreach. You can conveniently find Instagrammers who are looking for your niche, monitor the most followed hashtags and get analytic reports about your account as well those of your competitors. You can seamlessly track, sort, and categorize your followers with the help of Social Rank. It also lets you keep an eye at those with the most influence on Instagram, your most active followers and their engagement rate and the verified users on your follower list. This handy tool also allows you to search for bio keywords, hashtags, and more. All these features enable you to carve out an experience your followers would love to revel in and find in accordance to their interests. Once you get acquainted with how to engage with your target audience and keep an eye at your rate of growth of followers, you may as well look to monetize your account on Instagram. It is not a hidden secret that Instagram has been found wanting in this area as it in only offers one hyperlink in the Bio section. Having said that, it presents such a glorious platform to showcase your merchandise that it would be quite disappointing not to allow people to buy right from your Instagram account. Fortunately for use all, these tools let you accomplish just that. You can employ comment selling on Instagram thanks to this web based tool. It lets you upload your merchandise with all the relevant information and all what one has to do purchase the stuff is to write “Sold” in the comments section and to get an invoice emailed to them immediately. Once you subscribe to the more intricate plans, you will have to pay transaction fees. It is also important to note that Soldsie does not mediate any purchase disputes between sellers and buyers. Boost is recognized by the Better Business Bureau and lets your followers purchase your products right from the comments section. Each product has a hashtag followed by a three digit code provided by Boost to ensure uniqueness. Once the product is posted on Instagram, your followers can purchase it from the comments section by writing the entire code down. A SMS is sent to them to confirm their order, the seller gets the confirmation message and the product is shipped to the buyer. The sellers are required to pay a certain fee but buyers can subscribe for free. There are tons of free Instagram tools available out there. In this section of the post, I am going to share with you some free Instagram tools that will help you enhance your outreach but also help you manage your multiple social media accounts and engage with the target audience. These free tools also provide sufficient support in terms of photo editing, finding the best hashtags, running Instagram competitions, integrating Instagram posts to your website and other great stuff. One of my favorite Instagram tools is Canva that lets you create intriguing Instagram stories thanks to the exact dimensions for all Instagram image sizes. It also comes with intuitive design tools for generating images for other social media networks. As all the designs conform to Instagram’s image specifications, so you can stop worrying about the aspect ratio, resolution and pixel widths and focus on the design. Canva is also available as an iOS application which means that it can also be used on smartphones and tablets to produce images dedicated for social media networks. Integrated with a sophisticated vision algorithm, Auto Hash suggests the appropriate hashtags for your content. You simply have to start the app and select the image in your library. The image will be scanned by Auto Hash, objects will be analyzed and appropriate hashtags will be recommended. With the GPS turned on, Auto hash also comes up with the relevant location based hashtags. At present, Auto Hash is only present on Android and Messenger. A phenomenal visual Instagram scheduler, Later, has gained massive traction among consumers all over the world in the last few months. You can access premium features by paying a certain fee but the free version is also quite rich in features. A maximum of 20 images per month can be scheduled on the free version along with access to basic analytics package. Giveaways are recognized as handy tools to increase a brand’s audience figures and spur engagement with a brand. Touted as one of the best tools around for organizing user generated content competitions. People can participate in giveaway competitions by posting a photo with your chosen hashtags in relevance with your content. All the images are then collected by Shortstack with the content hashtag that you chose and are displayed in your feed. The service is free up to 100 entries and higher tier plans have to be sought if one wants to go for larger number of entries. People are always asking numerous questions about dealing with social media management tools so we deemed it appropriate to post answers to some of the most commonly asked questions. If you have other queries, you may as well drop a comment in the comments section below. What is the best Instagram Scheduler? We can recommend a couple of schedulers in this regard. Sendible have a great Instagram scheduler integrated into their social media management platform. You can give it a try here. You can also get your hands on eClincher which has also been included in the list of the best Instagram tools. Buffer also offers a pretty decent Instagram scheduler so you can give it a go as well. The demand for flexible and simplified social media management solutions is on the rise. Companies are taking note of this rising demand and are coming up with appropriate alternatives. You can employ the tools mentioned in this post to reduce the time required to organize your social media accounts and instead focus on enhancing your growth and monetizing your account. These Instagram tools let you monitor trends, broaden your outreach and sell your merchandise. Instagram is getting more and more conducive for businesses. You can also jump on the bandwagon to reap the rich dividends it has to offer. Instagram harbors more users than Twitter and is constantly releasing updates to help spur growth and user engagement.